Many of us have cobbled tech solutions together to form the backbone of our marketing. Buying a single, comprehensive suite would make everything work together — but does such a content technology exist? The answer to that question is complicated. You’ve doubted the power of marketing technology suites in the past because they were often also cobbled together, composed of acquisitions that didn’t seem to make sense as an integrated feature set. Why would you buy a suite if the one you’ve created independently could be just as effective? Now, enterprise brands are racing to debut the first true marketing suite. We’ve discussed acquisitions by Adobe, IBM, Oracle, and Salesforce in-depth over the beginning of 2013. Some tech suites are market-ready; others are still in production. But it looks like everyone will have a viable solution in the coming months. Starting to reevaluate your software platforms? Whether you’re considering purchasing a suite or working with specialized vendors, the video below, and the list of questions that follows, could help you make the right content technology decisions for your brand. A big thanks to Merrilyn Datta, Ken Trammel, Tom Gerace, Amanda Nelson and Robert Rose for participating in the conversation and sharing their insights. 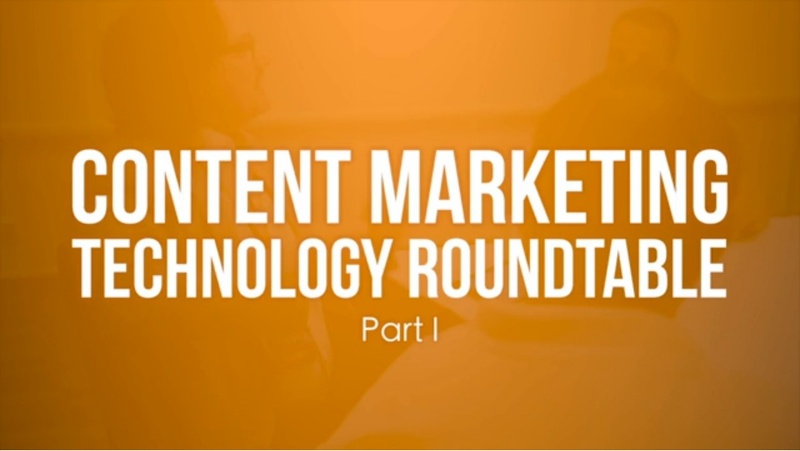 Content Marketing Institute Technology Roundtable Series – Part I from Content Marketing Institute on Vimeo. We’ve reached a development stage in business software that values intuitiveness over throngs of features. As such, your marketing software should enable you to cut IT out of the equation, to a certain degree. Find out if the software you are considering requires training — and if the vendor offers it for free. Make sure support resources like documentation, forums, phone and email, and account managers are part of the package, as well. 2. Does it identify silos while allowing them to work together? Enterprise content marketers must be able to work efficiently across the marketing department. The key is a content technology platform that understands and segments marketing disciplines and strategies while empowering teams to share data and content. Silos are useful in that they name and categorize a piece of the marketing puzzle. (That’s why we find content marketing to be such a useful phrase.) But they should always work together. 3. Is data at the heart of the software? You’ll hear it again and again and again: From here on out, marketing is a science. Data drives the scientific process, proving whether your audience is ignoring or latching on to your message. If your software can’t measure results, find another platform. This year, data is more important than ever. Make sure you’re well equipped to handle the explosion of data to come over the next decade. 4. Does it integrate easily with other software? Vendors tend to box out the competition. But integration is more important than ever. It empowers you to work with more specialized vendors when the situation calls for it. Suites do their best to be one-size-fits-all solutions. But your business sometimes calls for something different. Sometimes, you need to work with a specialized vendor. As new techniques hit the market, having the ability to adapt quickly by working with specialized vendors that supply them is a huge benefit for your marketing plan. (Native advertising, for example, probably isn’t a capability you’ll find in most suites.) Chances are the brand behind your suite isn’t going to develop that functionality just because a small group of customers ask for it. But an open stance on integration empowers marketers to stay agile and innovate on the fly. The suite that opens itself to smaller vendors (and app developers, in some cases) expands its appeal. 5. Is editorial workflow management a priority for the vendor? As content marketers, editorial workflow management is near and dear to our hearts. Yet many of us still use publishing platforms that aren’t as user-friendly as newer solutions on the market are. Specialized editorial workflow management platforms, like Kapost (a CMI partner), have made managing editorial staff a much simpler process. But not every vendor will spend time perfecting its editorial platform. A powerful editorial workflow management system is the content marketer’s best friend. Cover your bases, especially if you’re evaluating a marketing suite. 6. Is there room for offline marketing? What’s going on with your brand beyond the walls of your browser? Tying offline marketing to what you’re doing digitally is tough, but not impossible. With increasingly accurate data analysis, you can’t afford to miss out on the customer that converts after picking up a white paper at a trade show. As a marketer, it can be easy to get caught up in the digital aspect of your job. Find a software platform that helps your organization focus on the entire picture. 7. Is it listening for your brand? Tracking your brand requires more than Google Alerts (although that’s a start). Social media monitoring is another huge aspect of digital brand management. Tracking your brand’s signal helps the marketing department find conversations and offer timely responses. It’s also important for finding where your content ends up across the web. Without it, it’s a lot tougher to track where leads and customers originate. In a suite, brand monitoring comes into play across just about every aspect of your outreach. It represents a way to seek out marketing opportunities that are just begging for your brand’s two cents. 8. Can you use it to manage advertising? Don’t leave advertising out of the equation. Ad strategy falls under the umbrella of brand control. Therefore, it should work closely with your other content marketing initiatives. Even if advertising isn’t your job, it’s a function of the marketing department. A truly comprehensive content marketing suite comes equipped with simple features for managing ad placements. 9. Does it make device optimization a no-brainer? You’re not a designer, nor is it likely that you have time to spend on optimizing web pages for a multitude of devices. How can the software you choose make the process easier? Tablets are now more trafficked than mobile devices, with higher average order rates to boot. And both of these devices are stealing serious mindshare from laptops and desktops, the devices marketers used to put first. As a result, your marketing software shouldn’t discriminate against presentation styles. It should include simple resources for setting screen displays or designing responsively. 10. How difficult is collaboration? Communication across the enterprise can be tricky. Does your marketing software make it easier? Collaboration among different teams is what makes a truly integrated suite useful. It combines data analysis, content control and delivery, and asset management with project management. Without easy ways to collaborate, a marketing platform falls flat. 11. What kind of reputation does the company/software have? Simply put, you want a software partner you can trust. Today’s plethora of online reviews is usually enough to help you do your legwork before you invest in a technology partner. Checking with colleagues and peers also helps. Actively seeking answers that don’t already exist online can help, too. Ask about vendor and software reputations through services like Quora and LinkedIn Groups. It doesn’t hurt to search websites like Ripoff Report and the Better Business Bureau, too, for possible listings on the company you’re researching. 12. How have other companies used the software? What kind of potential does the platform hold? Does the platform have a lot of users? Have any major brands put their trust in the software? Here, you want to dig up case studies. Start with any you find on the vendor’s website. Search for success stories you can find in the media, too. Figure out exactly what kind of success organizations like yours have had with the platform. 13. What costs are involved? Figuring out what you’ve invested is a crucial step in calculating your ROI. 14. Who will it make happy, and who will it piss off? Will introducing new software make you more friends than it will enemies? It’s always important to consider the politics of introducing a new content technology to an entire department. If content is your focus, for example, you may end up favoring a platform with a strong editorial workflow manager. As a result, a dedicated email marketing specialist may find her portion of the software to be lacking. Always consider the compromises a new software platform may force internally. After all, there’s no such thing as a perfect piece of software. What other questions are missing from this list? Share them with us in the comments. For more tips to help you make smart purchasing decisions, read CMI’s eGuide: How to Choose Content Marketing Technology.